Thanks Brian! Hopefully IKEA will voice their gratitude for the mention in the form of a new armchair. This was what he sent to them.... 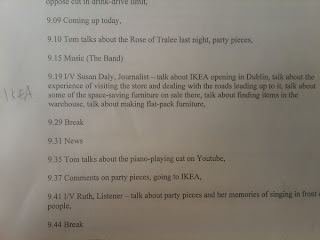 I LOVE that the next item on the show was about a piano-playing cat. Prime Time, here I come!